Welcome back to another edition of Point Blank Student Success. This month we spoke to the classically trained music producer Decimal 5 about translating his previously learned skills into electronic music production, Poland-native Ańii about how she hooked up with Kompakt for her debut EP release and Alexander Glass about his recognition from BBC introducing and his journey collaborating with talented undiscovered artists. We compile these every month showcasing students that have studied with us for any length of time and at any of our locations: London, Los Angeles, Ibiza, Mumbai, and Online. 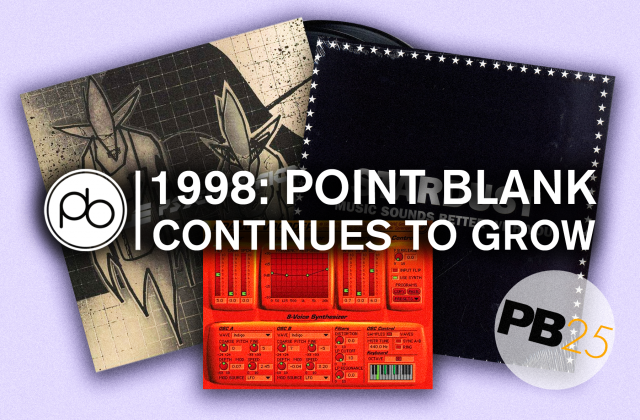 Read on below to learn about our previous experiences at Point Blank and the exciting projects they have in the pipeline. Christian Jones, AKA Decimal 5, was classically trained in piano, clarinet, and singing from an early age. In his later years, he developed a passion for electronic music and had to make the big decision whether to follow the academic route of law or journey down a pathway of creativity. Fast forward to now and he’s working with a number of vocalists, releasing his own music and growing his presence in the electronic music scene. I was about 19 and on my daily struggle to find good mixing tutorial videos on YouTube and I watched one which had a Point Blank banner in the background. At the time I had applied to do law in London, however, after doing some research into Point Blank and watching some of the videos on the YouTube channel, I spoke with my parents about what to do. My father is also very musical and knew from the start that this was what I really wanted to do. So, I booked an appointment to go to an open day at the school where I could fully take in the environment. I immediately could see myself thriving on the course – so I filled in an application, was offered a place, declined my offer to read law and moved to London. How did the school help in building the foundations of your music career? The thing I found most difficult about trying to learn on my own was that no-one gives you a straight solution to what they’re doing or why they’re doing it. So much of what you watch online is very speculative. What I know now after doing the course is that some of what you see on YouTube tutorial videos isn’t always helpful and can be misleading. It was amazing to be able to ask the instructors at Point Blank questions and get a definite answer once and for all. I found not only did the creative and technical aspects of the course help tremendously, but also the music industry and business side are so important. They teach you what’s normal in the industry and what things to look out for which is vital. I think the point I’m trying to get at is that Point Blank teaches you how to think, instead of what to think – I think the fable “give a man a fish and he’ll eat for a day, teach a man to fish and he’ll eat for life” really applies. I was classically trained from the age of 3. I’d done my ABRSM Grade 8 in the piano, clarinet and singing, performed in London’s Royal Festival Hall and given a short recital to HRH Prince Philip, Duke of Edinburgh, so I had a solid fundamental musical knowledge of how melodies are constructed, harmonies and the theory aspect. However, classical music and music production, mixing and mastering are at two quite different ends of the spectrum. As I said previously, trying to learn on your own is good, but it can only take you so far – trying to think outside the box becomes tricky. Quite a lot – when I started the course I wanted to go in with the mindset that I know nothing and soak up as much information and knowledge from the instructors as possible. Keeping in mind that anything they tell me that I may have already known would just be a bonus. The mixing & mastering modules, music industry, and record deals & branding were of monumental help. From the mixing point of view your production can be fantastic but without having a solid mix, it won’t ever sound competitive to what’s being released commercially. Record deals & branding, taught by Leddra who is an independent artist in her own right, gave such a good insight into how a label operates. Learning how to brand yourself from someone who already has experience running their own label was great. During the course, we were fortunate enough for her to dip into her contacts in high places and have Skype calls with them so we could pick their brains. I think if there was one small thing that I’ll never forget it’s checking for phasing problems within a track. We’d studied in depth about phase cancellation and polarity the same week that I noticed one of my tracks, ‘Running Wild’, that was due to be released in 3 weeks time had a major phase cancellation issue. Just from looking at the waveform based on what I’d learned from the lesson I fixed it and sent it back to my A&R for the old master to be replaced with the new one and just in time! How would you describe what you do and how close do you feel to how you want to sound? At the moment I’d consider myself to be more of a music producer than a performer. Most of the work I do is normally in a studio setting whether it’s producing myself or producing other artists and bands. However, I don’t just produce electronic dance music – a side project I’m currently doing is a heavy metal album but the inspiration to do that and be able to do that came from doing the course at Point Blank. The skill set you achieve sets you up to be able to do music as a whole, not just dance music. I think is very important. Before I’d done the course I was adamant that it was just dance music I wanted to do, but now, one day I’ll be producing for a grime artist, the next a pop artist and by the end of the week will be working on heavy metal songs. Predominantly during the summer period, I’m often touring at festivals which is great for testing out new music you’ve either just finished or want to show to a crowd and see their reaction. In terms of Decimal 5, I feel the melodic dance/pop sound is gradually hitting the right spot; I try to incorporate organic instruments wherever possible as when I’m creating a record. I do it with the intention that it could be played live by an orchestra or live band. You mentioned you’re a classically trained pianist, has this affected your production style in any way? Most certainly. I grew up listening to the likes of Mozart and Vivaldi all the way to Glen Miller and Meatloaf so I had quite a broad musical taste. I found that when creating a new production the melodies and harmonies came quite naturally. In addition to this, orchestrating the instruments albeit electronic sounds or organic ones felt familiar. Probably the most difficult part of creating a good production was the sound design aspects. I could write a track on an airplane in my head and it would sound great but then taking it to the studio and trying to make it sound how it did in your head is a whole new ball game. Luckily, the sound design and advanced sound design modules helped me an extreme amount. To this day I still practice by taking a random song each day and creating from scratch the lead/main synth in the track. What’s next for Decimal 5? Is there anything exciting in the pipeline? Oooh, well there’s a couple of things I can talk about – one I’m not allowed to because the feature artist’s management won’t let me. However, I’ve got a new single out mid-February called ‘Remember When’ which I’ve been working on for the best part of a year and must have had 10 different vocalists record for it until I found the right voice for the track. I’ve also got a track I’m working on currently called ‘Paris’ which features the American rapper Mann who’s worked with the likes of 50 Cent, Jason Derulo, Kendrick, JR etc. I’m very excited about this one and hopefully, it will be out in summer 2019. There must be about 15 Decimal 5 tracks that are completely finished and good to go but I’m going to drip feed them out gradually. Introducing Polish-born Ańii, the minimal techno artist who was snatched up by Kompakt ahead of her debut release, KORZENIE, which was dropped earlier this year. The producer and DJ is steadily carving her own niche into the techno scene with her Eastern-European-inflected style. Blending intricate percussive elements with traditional instruments and pounding beats she provides a sound which is both organic and danceable. Listening to one of Ańii’s songs leaves a lasting impression. With the ability to capture an atmosphere and create an incredibly evolving soundscape, Ańii’s skills keep improving month by month. I discovered Point Blank many years ago. I think when I came to London it was one of the first music schools in the city that I considered. Then, when I decided to go for a course, it had to be Point Blank as it was the highest rated school in London. How much previous experience with making music had you had when you studied with us? None really at all. I’d been playing music for years but mainly the simple things. Nick, my tutor, pretty much had to teach me everything. I think I managed to pick things up pretty quickly though. Well, everything that I learned about Ableton and how the software works. It was great. Ableton was definitely a fantastic platform for me to start off on. So obviously your biggest news recently has been signing to Kompakt. Can you tell me how that came about? Yes, so roughly about two years ago I emailed Michael, a long-time affiliate of the label, and sent him over a demo. The next day he replied saying he would love to sign me to the label. It was like a dream, I thought I was dreaming and I needed to wake up. About a year later I released my first Ep, KORZENIE, and in January 2019 I’m set to release my second, AniiTime. You mentioned in your interview with Deep House Amsterdam that you met Ian Mackenzie while you were with us and he has gone on to be a mentor to you. Can you tell us about that meeting, and what you do together today? We met in a pub when I was actually at the end of my course. He offered me a mentoring position with him and the option to work as an assistant at his studio – I’m still working there now! After I lost my own studio space at the house I moved all my equipment to his and we joined the forces. Now I don’t only work for him, I work there full time. It’s my happy place! Of course, it was a Wonderfull experience. Since graduating from Point Blank, UK-based producer and singer songwriter Alexander Glass has received support from BBC Introducing in the South with airplay on BBC Sussex, BBC Surrey, and BBC Brighton. In addition to his radio airplay successes, he’s collaborated with a number of talented vocalists and recently released an EP which has amassed thousands of hits online already. I took time out of university and was looking for a music course that I could start at an unusual time in the year. 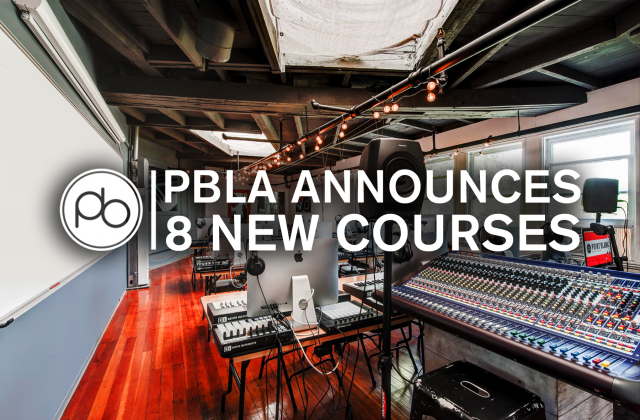 A quick google search led me to Point Blank and the number of flexible courses you offer. I was taken aback by the prestige of the school and the success of previous students. It made my decision an easy one. The Music Production & Sound Engineering course I took covered a diverse range of topics from starting your own label, scoring films, the theory of music and composition to mixing, mastering, and sound engineering. In sound engineering, we began with an original sound in mind and learned to create our own synth patches. No stone was left unturned and I felt totally prepared to do what I wanted to do whilst also becoming more aware of the other options available to me. I started playing guitar at a young age and then singing shortly after. I think singing is the best way to familiarise yourself with note recognition and scales. You can really ingrain these important techniques into your head that way – even if you cant really hold a tune. I gigged around as a solo act for a few years but quickly realised I needed to do more and wanted to produce. First I needed to learn the piano and I did that as part of my course at point blank, it made all the difference. I have a ton of great memories of my time at Point Blank so it’s hard to choose. I had this teacher Linton Bennett, he would listen to our student’s projects. He would ask me to save my work, then proceed to delete notes from my melodies, telling me that what was left was enough to tell the story. He was right. Another tutor I’m indebted to was Jarrad Hearman. I still can’t believe he gave us his tried and tested mixing and mastering chains. It felt like theft. I wrote everything down and still reference those notes. You only had to hear the tracks he’d worked on to realise the value of his years of experience in the industry. Finally, a massive shout out to Paul Ressel for getting me past the daunting synth plug-ins. I remember being terrified at the start of that module but by the end I got it. He explained everything fantastically well. Could you tell us a little bit about your Day 1 EP and the ideas behind it? Before attending Point Blank I was asking musicians for collaborative work and I couldn’t get a break. I wanted to show people I could write and I knew I would get more work in the future if I took the emphasis off myself. I tried to be as eclectic with genre as possible. I didn’t want to limit the kind of work I would be doing in the future. One thing I did want was big bass sounds for the electronic tracks. What really mattered to me was the quality of the sounds. There’s not a single preset on Day 1, I started from scratch or tweaked presets to get the sounds just how I wanted them. I would even cut up loops I liked and put the individual notes into a sampler to further edit them. It’s better than layering but it was arduous work. I have my second EP pretty much written. Honestly though at this stage I don’t want to rush, it could be some time to allow me to reflect. What’s more exciting is all the offers I’m getting recently for work since being a featured artist on BBC Introducing in the South. It’s all thanks to the tutors who guided me every step of the way and the friendly kind-hearted students. We would all give each other honest feedback and support each others music. It’s an environment conducive to success.